BRIGHTON, Colo. -- A Colorado man who told police he shot a teenager in the head after she hired him to kill her via a Craigslist ad pleaded guilty to second-degree murder Monday as part of a plea agreement with prosecutors. The agreement allowed Joseph Lopez, who had been charged with first-degree murder, to avoid a possible life sentence for 19-year-old Natalie Bollinger's death. 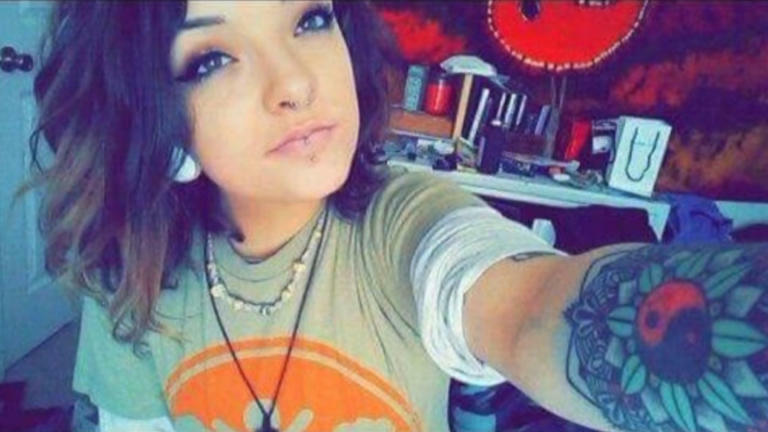 Bollinger's body was found in a wooded area north of Denver in late December, one day after she was reported missing. Adams County District Judge Roberto Ramirez sentenced Lopez, who is 23, to serve a maximum of 48 years in prison. According to court records, Lopez told police that he responded to a Craigslist ad titled "I want to put a hit on myself" and said Bollinger asked him to shoot her. Lopez told police he tried to change Bollinger's mind when they met but eventually he parked the car they were driving in and he shot her. Bollinger provided the gun, Lopez said. Prosecutors said Lopez should have called 911 or found help for Bollinger after he saw the ad. Bollinger and Lopez texted each other dozens of times before he picked her up and they drove around for "an extended period" before he killed her, they said. "He didn't respond as a human being," Chief Deputy District Attorney Ally Baber said. "He responded as a predator." An autopsy report found that Bollinger died of a single gunshot wound to the head. The autopsy also found a potentially lethal dose of heroin in Bollinger's bloodstream, according to CBS Denver. Some of Bollinger's family members objected to the plea deal during Lopez' sentencing hearing. Bollinger's father, Ted, said the prosecutors' agreement with Lopez felt like "spit in my family's face." "There's no justice in this," Ted Bollinger said. He argued that the court didn't make his family aware of the pending plea deal as soon as it should have. "What we took, we took because that was the most we could probably get without a jury agreeing 100 percent, because that's what it would have taken for first-degree murder and life in prison," Natalie's grandmother Denise Stuart told CBS Denver.